Almost all machines will, somewhere, use at least one lever. 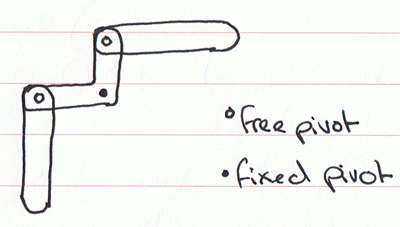 A lever is a very simple device it’s basically a rigid bar that pivots on a fixed point. 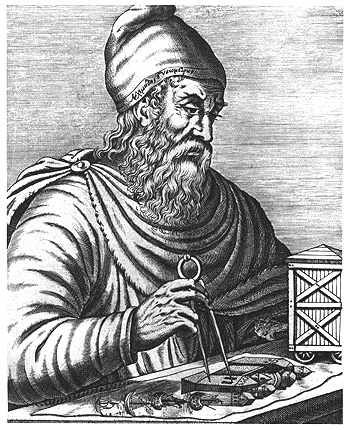 In Archimedes’ book called ‘On the Equilibrium of Planes’ he wrote out the ‘Law of the Lever’. He wrote that a lever is used to convert a small effort into a large effort and vice versa, he famously said ‘Give me a long enough lever and a place to stand and I will move the earth’. He also divided levers into three groups or orders depending on the relationship between the fulcrum, load and effort. 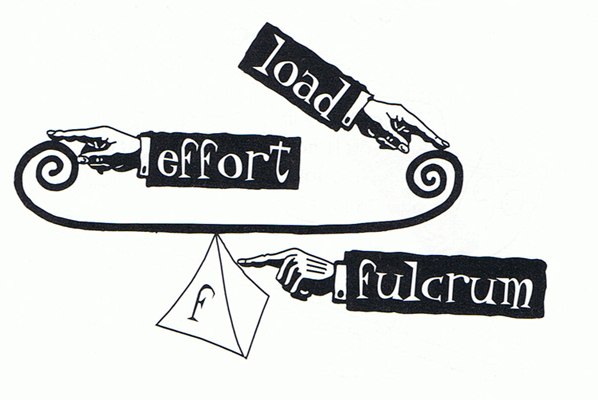 By moving the fulcrum closer to or further away from the load you change the distance that the lever must move and the amount of effort it will take to lift the load. A lever of the first order always has the fulcrum between the effort and the load. Levers in this class are things like a children’s see saw, a spade or a pair of scissors. 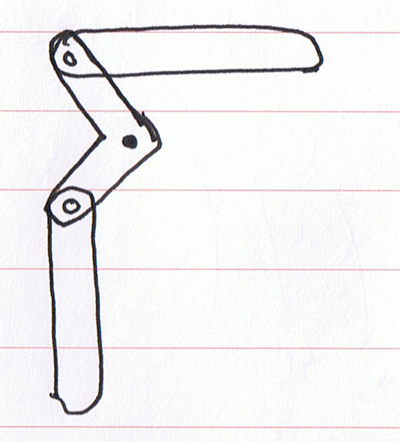 Levers are classed as belonging to this group when the load lies between the fulcrum and the effort. It’s can be described as a force magnifier, it has very good mechanical advantage, something I’ll be talking about in my next post. 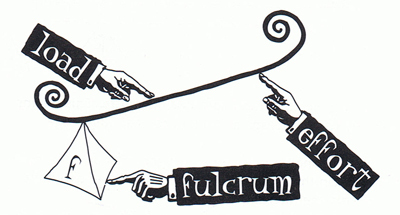 A good example is a wheelbarrow, lifting the handles uses relitivly little force but can move a heavy load, in this example the fulcrum is the axle of the wheel. 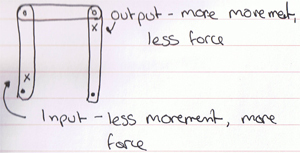 In a lever of the third order the effort is applied between the fulcrum and the load, this acts as the opposite of a lever of the second order, it’s a force reducer. The effort used will always be bigger than the load. doesn’t sound very useful does it? 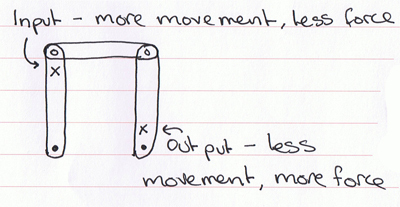 It does, however, have a big advantage, the load moves faster than the effort, you could call it a movement amplifier. Your arm is a good example of a class three lever using your elbow as the fulcrum, the effort comes from your bicep muscle and the load is held in your hand. To move the load requires the effort of your muscles to pull up against the fulcrum of your elbow. You can get really cool effects by combining levers, this creates linkages! Onwards to the scary maths bit!